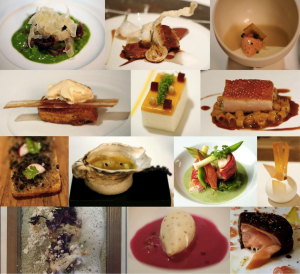 I’ve shared about Celebrity chef Thomas Keller’s favorite local restaurants. What I didn’t mention earlier is that Keller has some amazing restaurants in Yountville. The French Laundry is one of the top 3 restaurants in the world, and is on the top of every foodie’s bucket list of places to eat at before they die. Then there’s Bouchon Bistro, offering authentic French bistro fare with Keller’s unfailing attention to detail in both ingredients and presentation. Ad Hoc + Addendum is his casual dining venue where he showcases the American comfort food of his childhood. He also opened the Bouchon Bakery where you must stop by in the morning for some fresh coffee and a box of decadent macaroons so authentic you’ll believe you’re in Paris. Michael Chiarello of Food TV fame can often be seen in chef whites talking to guests in his restaurant, Bottega, where the famous chef goes back to his roots and back to the kitchen with incredible results. Everyone who lives in Yountville knows that you can always expect a delicious culinary experience in his restaurant. That alone might be enough to move here but there are plenty of other food destinations to make your decision that much harder. How about some late night dining at Hurly’s? With a fireplace in the dining room and a dog friendly patio outside, the game on in the bar and a No Corkage Fee policy, it’s a favorite for those looking for a good meal without all the fuss. Then there’s Redd, the first venture from acclaimed Northern California chef Richard Reddington, formerly of Masa’s and Jardiniere in San Francisco, and Auberge du Soleil in Napa Valley. Reddington offers an updated interpretation of wine country cuisine with influences from Asia, Europe, and Mexico in a relaxed yet elegant environment. The famed chef’s second, more casual outpost in Yountville is Redd Wood, a superbly stylish Italian-inspired eatery. Reddington brings a new sensibility to this laid-back wine country destination: a polished, chic restaurant with a voguish vibe and hip playlist coupled with an osteria-styled menu and Napa/Sonoma favored wine list. The town of Yountville, renowned for its world-class restaurants and award-winning chefs, is also sprinkled with some of the Napa Valley’s finest wine tasting experiences. The new Taste Life Here Passport allows instant access to citizen wineries. One wine tasting experience not to miss is Maisonry. I’ve just scratched the surface regarding the culinary talent in Yountville. For more restaurants, check out this directory. Then come discover Yountville’s charm, friendly people and rich history in the heart of the Napa Valley. For information on Yountville real estate, please contact me at 707-738-4820 or email [email protected]. I have a wealth of experience in Yountville real estate, including intel on recent sales. As a top producing Realtor® in Yountville, I have access to some extraordinary wineries, vineyards, estates and homes that are not on the open market. The inventory is extraordinary right now and each and every property has spectacular views. I look forward to helping you buy or sell your property in one of my favorite towns on the earth: Yountville.